I’ve spent the last few days playing with prototypes, trying to come up with new designs, new ways of doing old things and just generally trying to learn new things. It’s not often I have enough time to do something like that, which somehow always feels a little like a waste of precious time as it’s not producing something you can give or sell. But I’ve had some enforced vacation time so amidst lots of pottering around achieving not very much, I’ve been playing. 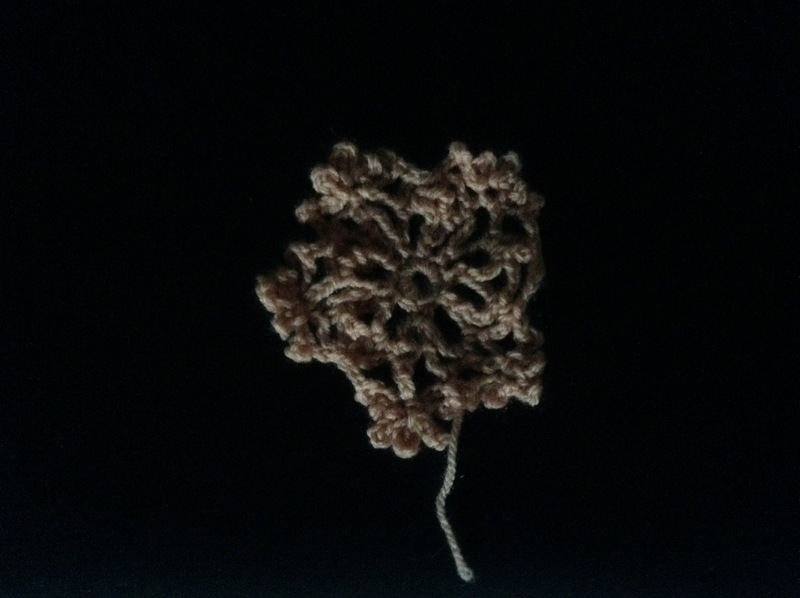 I tend to do this with wool, for a couple of reasons. One, you can unpick wool when you go wrong, and when I’m trying new patterns and stitches I go wrong a lot. A huge lot. The other reason is that I have any amount of wool and its cheaper than wire. But also, once I’ve prototyped it’s nice to keep it for reference, or just for inspiration further down the line. This is, I think, going to be a cross between a dreamcatcher and a wind-chime. The idea of making wind-chimes has gripped me recently, but I’m struggling on the actually chimey bit right now, so I’m concentrating on the top bit for the moment,, just envisage it in wire, with some tiny iridescent beads.. 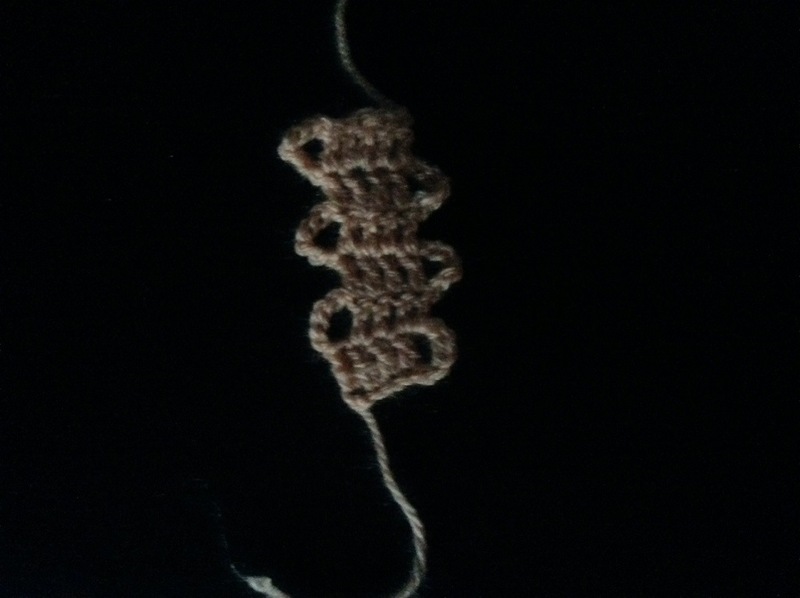 This next one is a form of Bruge lace – totally new to me, but I think I’ve got it worked out right. 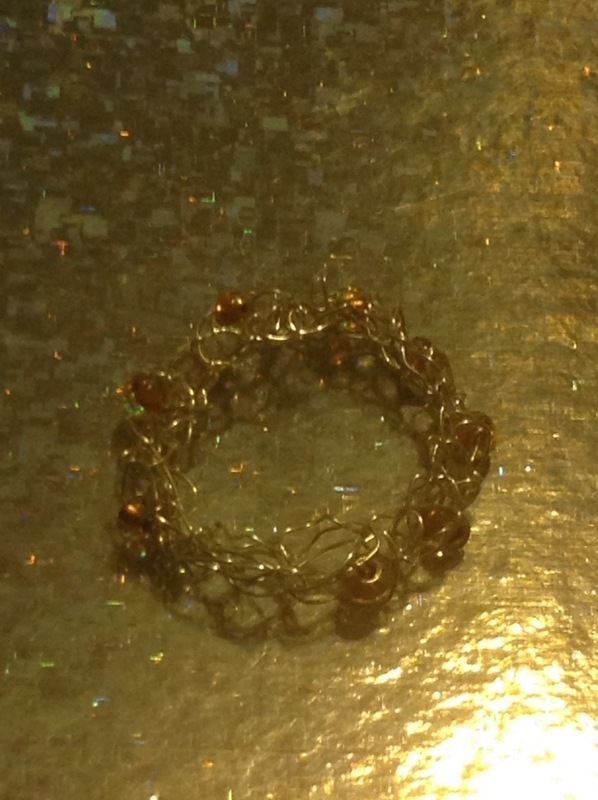 Again, some beading would go on, maybe alternating inside and outside the loops, or just inside, in alternate pairs. Or maybe a big bead every three repeats or so. That’s half the fun, isn’t it – adding your own twist to things. FInally, a different direction. 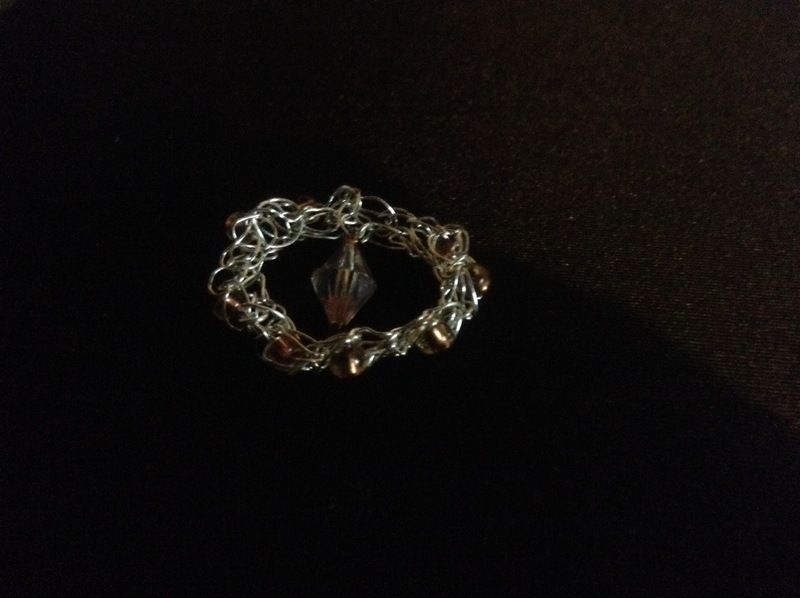 This started life as a ring, but the wire was too thick and bulky, I think. So I debated turning it into a pendant of some sort, but it felt like something was missing, so I added a little tear drop bead. I wasn’t overly keen on it but taking it out to photograph it this morning I’m liking it a bit more. The fun part is what Im going to do tonight, where I take my notebook, look at the design and try to decide where the beads go and how do I get them there! 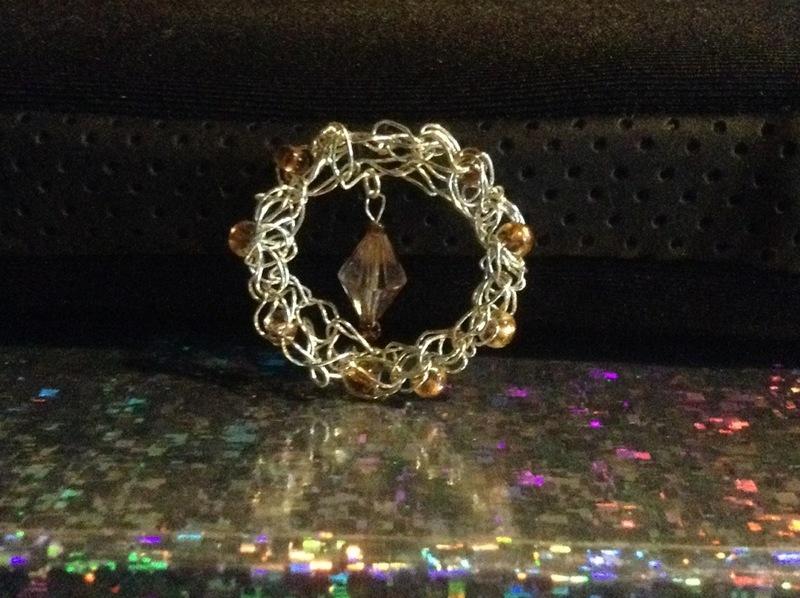 This entry was posted in knitting, Wirework and tagged bracelet, dreamcatcher, Jewellery, knitting, lace, pendant, ring.